Hand lever and sliding movement with toothed jaws, spring action release of jaws. - Suitable for crimping and coding Aluminium and collapsible tubes. - Available in hand and foot operated models. Semi-Auto : Single head-Manual feeding of tubes, filling, crimping and batch coding designed and build for, low production requirements, . Simple and portable the KOVAI – 300-AL meets the needs of Lab, R&D production. 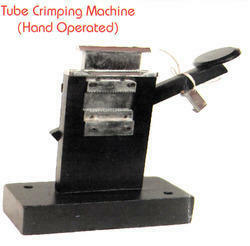 We supply a wide range of Hose Crimping Machine which are made from high grade material and latest features. They are used in various industrial applications. 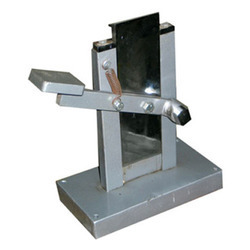 These Hose Crimping Machine provide consistent performance and widely used by our clients. Our ranges of products are made as per the international quality standards. Note: Image shown in the product is only for illustration purpose product appearance can be changed as per availability of stock.